Blue Finisher 42t Felting Needles Combo Pack. Includes 2 single point and 1 double point. The blue 42t is a fine felting needle that works best for surface design or finishing. I use it in for needle felting the eyes of my dolls. It allows me to felt just at the surface without felting down the area. Because it is a very fine gauge needle, it leaves smaller holes on the surface of your projects. 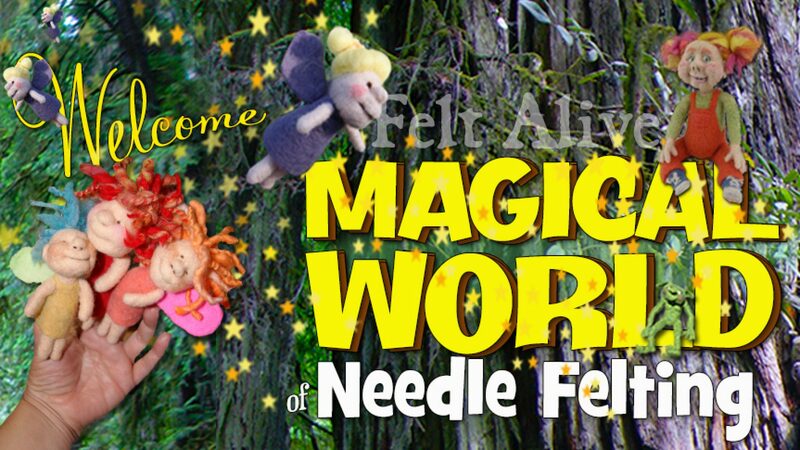 A fine gauge felting needle that works great for finishing. Our blue 42t needles are part of our original line of color-coded felting needles. Available in single point, double point and quad point!